Just one dosage and no worries of different intestinal worms. 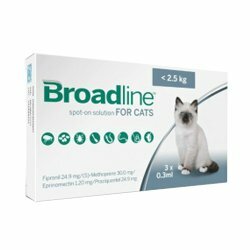 Broadline is my best partner, as there are not external and internal parasites on my four cats. I use this every month to prevent any type of infestations.